When anyone thinks about Disney World, rx they think about Magic Kingdom. The world of “make believe” comes alive in Magic Kingdom Park where adventures, fantasy, and fun surround you in seven wondrous lands of enchantment with over 40 incredible attractions and shows. 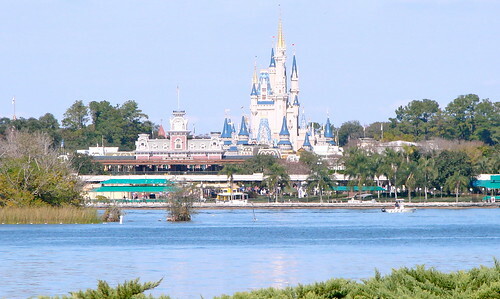 This park is the most popular park and is home to Cinderella’s Castle, Space Mountain, Pirate’s of the Caribbean, Mickey Mouse’s house, and much more. This is The Most Magical Place on Earth! The Magic Kingdom, which covers 107 acres, opened on October 1, 1971.
a Magic Kingdom where the young at heart of all ages can laugh and play and learn — together. Main Street, U.S.A. — Inspired by Walt Disney’s memories of his hometown, Main Street U.S.A. is a re-creation of early 20th century small-town America, on a 7/8 scale. There are quaint shops, a town hall, fire station… even an old-style barbershop. Adventureland — An exotic mix of jungles, wild animals, pirates and a Middle Eastern bazaar, Adventureland is home to several of the Magic Kingdom’s best-known and best-loved attractions, including Pirates of the Caribbean and Jungle Cruise. Frontierland has all the adventure and excitement of the Wild West, including the wet wonders of Splash Mountain and the wild thrills of roller coaster Big Thunder Mountain Railroad. Liberty Square honors this country’s colonial heritage with the Hall of Presidents. It is also home to the ever-popular Haunted Mansion. Fantasyland is the quintessential fairytale experience with castles, princesses, pixies and boys who won’t grow up. Mickey’s Toontown Fair is THE place to meet Mickey, Minnie and the gang up close and in person. Geared specifically to the littlest park-goers, there’s even a kid-sized coaster, The Barnstormer at Goofy’s Wiseacre Farm. Tomorrowland is a look at the future where you can battle aliens at Buzz Lightyear’s Space Ranger Spin, or hurtle through the universe on a high-speed coaster at Space Mountain. Magic Kingdom was a favorite! It just adds to the list of why we are going back! It definitly captures the magic that you cant find any where else in the world. Not just just the Disney World, The entire World! – Will S.